When it comes to working from home, there are a lot of things that can distract you from productivity. Don’t let a messy, cluttered home office be one of the things detering you from getting anything done. Check out these following tips and rent a storage unit from Just Store It! in Elizabethton for all of your extra belongings that don’t need to interfere with your professional life. While it’s important to keep documentation of your spending, savings, invoices, and other projects, if you’re becoming overwhelmed by stacks of paper, you’re not going to get anything done. Go through the stacks and organize paper into three categories: toss or shred, file, or take action. Create a filing system for the papers you keep so that you can find documents quickly. If you scan documents to your computer, make sure to keep the paper copy or a backup drive in case something happens to the files. If you have a lot of paperwork you need to keep track of, consider renting a storage unit to keep it organized without taking up too much space in your home. To keep paper under control, use bins or organizers to create categories for mail. This includes incoming mail, outgoing mail, bills, and mail to file. When you check your mail, you can quickly sort envelopes into their appropriate category. Just be sure to go through these categories about once a week to make sure mail doesn’t start to get overwhelming again. Whether they’re cubbies you keep on a bookshelf, drawer organizers, or another type of container system, keep your office supplies organized to stay productive. This will prevent you from having to dig through one giant drawer while all of your office supplies roll around from one end of the drawer to the other. If your office contains a bookshelf full of reading material, take the time to organize it. There are a variety of ways you can organize — it just depends on what works best for you. You can organize titles alphabetically, by genre, or even by color. Just make sure how you organize your shelves helps keep you productive. Often, people use their home office as a catch all for their activities, hobbies, or belongings they don’t want in the other rooms of their home. En lieu of a junk drawer, you end up with a junk room. 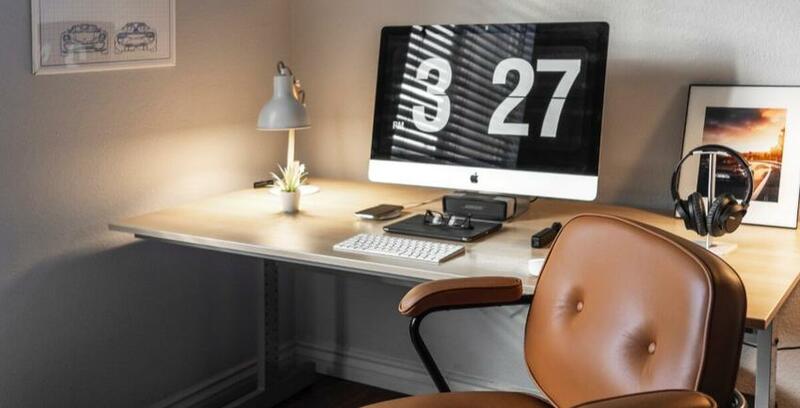 Instead, put these items in storage so that you can use your home office for its intended purpose — getting stuff done! Rent a storage unit at Just Store It! in Elizabethton today.